From January 2017 Google stops displaying Flash ads on their own ad networks, such as the Google Display Network and DoubleClick, as the Internet giant has over Google Plus disclosed. 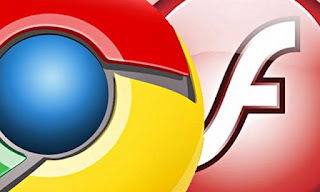 According to Google, it's important for advertisers to switch to HTML5 ads, so many people can be reached. To accelerate this process will AdWords and DoubleClick Digital Marketing from June 30 to accept new Flash ads this year.From January 2, 2017 Flash ads will no longer be on the Google Display Network are displayed via DoubleClick. Google warns advertisers that they should have converted their ads to HTML5 for these dates. For now, the new measure does not affect video ads created in Flash. Google has long been working to make Flash unnecessary. As YouTube videos are automatically played through HTML5. In the case of Flash ads that are distributed through AdWords, which are automatically converted to HTML5 since February last year. Since September 1st of last year, most Flash ads automatically in Google Chrome paused . Last year, also called Alex Stamos, the new Chief Security Officer (CSO) of Facebook, which with Adobe Flash technology to stop , so that it can be switched completely on HTML5. HTML5 is natively supported by modern browsers and allows playback of videos and other "rich content" without installing additional plug-ins possible.